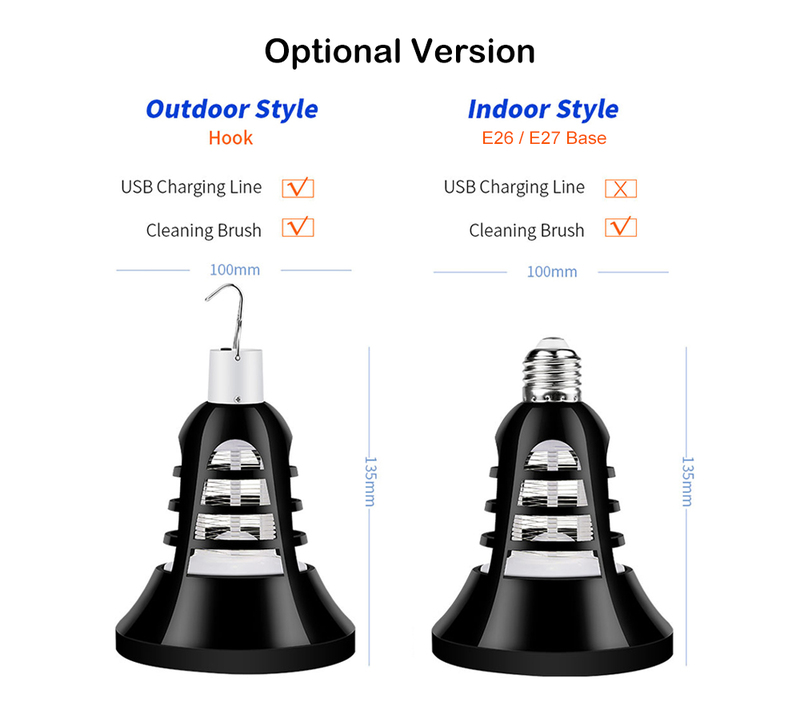 ● Suitable for indoor, outdoor, home, bedroom, living room, kitchen, office, garden, camping, tent, etc. ● Please close all windows and doors and other light sources before using. ● Please do not use the lamp above food or drinks or at were easy to occur explosion. 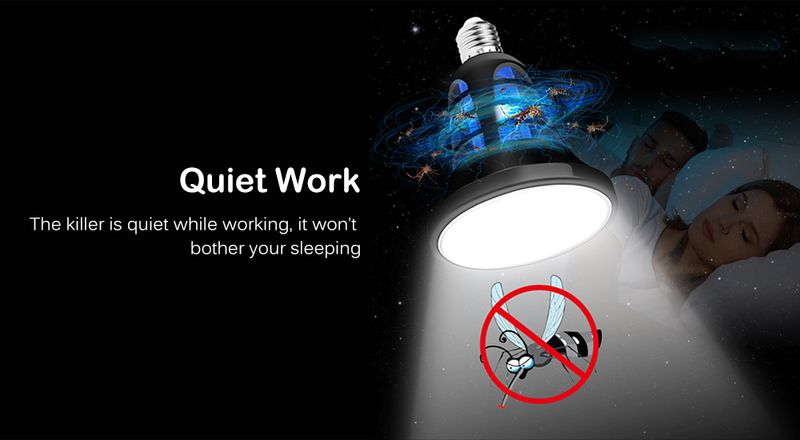 ● Please turn off the power, and wait for 15 minutes before cleaning the lamp. 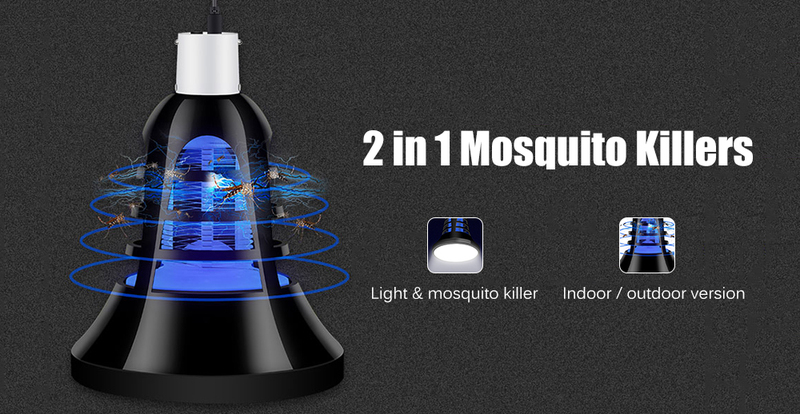 The dead bodies of mosquitoes can be cleaned by a soft brush directly. 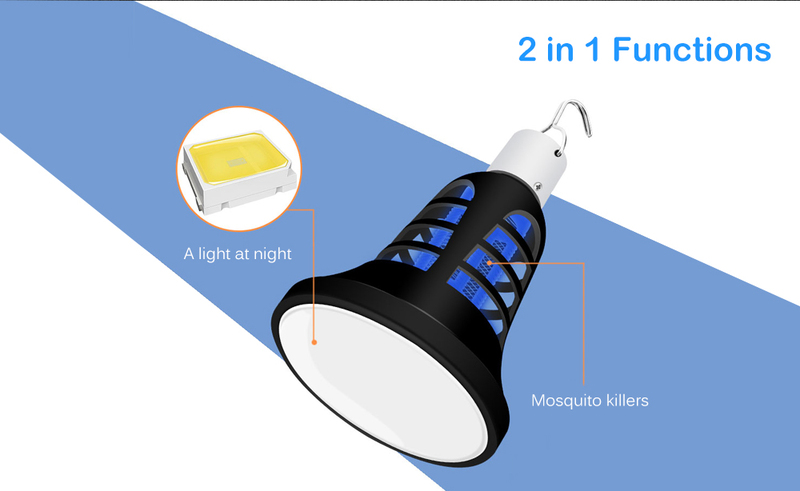 ● Please keep the Mosquito Killer Lamp away from children, don’t let children touch it. 2. 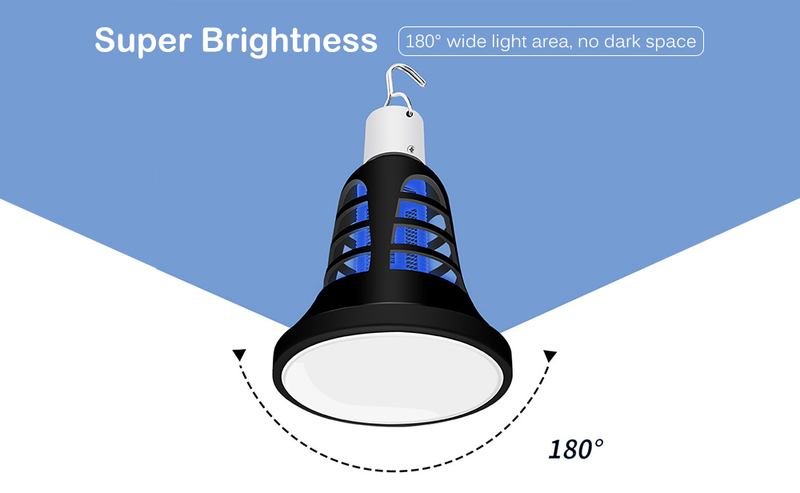 Please check the specifications of the product carefully before ordering to ensure a proper fit.